Mary Ann Nunez West Coast Swing Dance 'Musicality' DVD. Dancing to the music, with your partner. 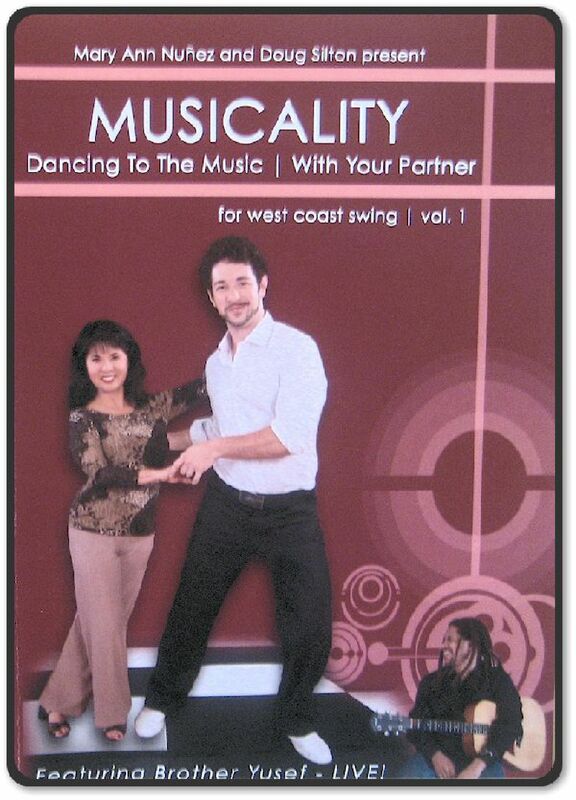 This DVD has everything you need to know about West Coast Swing 'Musicality' packed onto one DVD. Presented by Mary Ann Nunez and Doug Silton. Vol One. How you dance, hear and interpret the music can make all the difference. Let the Queen of WCS Interpretation" show you how it's done. SAVE MORE $$: The cost for one DVD is $40.00 / Two DVD's $70.00 / or buy Three for $120.00 and get the 4th DVD FREE. Each individual DVD page has a link to order that single video alone or 'Bundle It', such as here. To purchase the 'WCS Musicality' DVD only, Click the 'Add to Cart' button below.